The Chipstone Foundation’s upcoming exhibition at the Milwaukee Art Museum Face Jugs: Art and Ritual in 19th-century South Carolina opens April 26. I will write more about the exhibition next month, but I want to give you a preview of one of the objects that the Chipstone Foundation just acquired for its collection. In preparation for the Museum exhibition, I have been researching face jugs and visiting institutions and collectors around the United States for the past year; viewing their collections and learning more about the different forms. Chipstone owned one face jug, which is what first piqued my interest in the subject, but the rest of the objects for the exhibition needed to be borrowed from other institutions and private collections. There is a limited number of the early African American made face jugs, and they don’t come up for sale often. So then, imagine my surprise and excitement when a few weeks ago Chipstone was offered the opportunity to purchase one of these rare 19th-century vessels! Face jugs are stoneware vessels with faces on them. The eyes and the teeth are made of kaolin, which is the material that porcelain is made out of. They were created by slaves in the Edgefield District of South Carolina in the second half of the 19th century, and were produced for a period of only about 30 years. The face jug offered to Chipstone is amazing. It has a face that is different from any other face vessel that I have seen, and the jug’s form suggests that it is early, probably from around 1862. The unique features weren’t the only thing that captured my attention though–this particular face jug has writing on the back! Inscription detail. Face jug, ca. 1862. alkaline glazed stoneware with kaolin insert. Chipstone Foundation. Photo courtesy of Rob Hunter. Writing on a face jug is very unusual. There is only one other face jug, owned by the Smithsonian National Museum of American History, that I have seen with an inscription. One of the peculiarities of face jugs is that the individual makers are not known. Would this new face jug give us a clue as to who made it? Would it provide us with the name of a slave potter? Needless to say, the Chipstone Foundation purchased the rare, inscribed face jug. When it arrived, it was clear that the script did not match the Smithsonian’s face jug’s lettering, eliminating the possibility that they were made by the same maker. The writing also did not match the famous Edgefield potter known for writing on his vessels, Dave Drake. That eliminated the possibility that the face jug was made by Dave. One of the words on the back (as you can possibly make out on the detail above) spelled “Squire”, but the other was much more ambiguous. The Chipstone curators and other Southern ceramic scholars came up with two possibilities for the second word. It could be either “Peter” or “Posey”. Initial research turned up that a slave working at the Thomas Davies pottery, a pottery known for producing face jugs, had one child named Squire and one child named Peter. Could he have been the maker of the face jug? Did he make any of the other face jugs that will be exhibited this spring? What if the second word actually spells Posey? I then did initial research on the name Squire Posey and came up with a planter who was born in South Carolina and moved to Alabama. Was he the owner of the slave who made the face jug? Was this jug a present for Posey, or was the inclusion of the name a way for the slave to ward off the master’s fury? Face jug, ca. 1862. alkaline glazed stoneware with kaolin insert. Chipstone Foundation. Photo courtesy of Rob Hunter. At the moment, there is no conclusive answer, but come by to see Face Jugs: Art and Ritual in 19th-century South Carolina between April 26 and August 5 in the Museum’s Decorative Arts Gallery and see this wondrous face jug for yourself. Thanks Bob. Great catch. I’m embarrassed that I let that slip through..! I’ve made the correction. Great acquisition! What an intriguing piece. My guess is “Squire Peter”. What about the one sold at auction by Skinner Inc., in Boston a week or so ago with good provenance? I don’t know who got it for more than $56,000. I expect Rob was there as his postings that weekend were from Bahst’n. Chipstone bought the Skinner face jug as well. It will be displayed in the upcoming exhibition Face Jugs: Art and Ritual in 19th Century South Carolina. Thank you, Claudia. Good to know that it has a good, public home. Claudia, I met you at the University Of South Carolina face jug round table discussion that was partly hosted by Jim Witkowski. Another Early face jug showed up in Columbia, friday night the 16th. I bought it and will email you pictures if you are interested. What an interesting piece of art. Thanks for pursuing it. Thank you. I hope you will come see our exhibition Face Jugs: Art and Ritual in 19th Century South Carolina. It runs from April 26 through August 5, 2012. Hi there! This is the fourth time visiting now and I really just wanted to say I truley fancy reading through your blogging site. 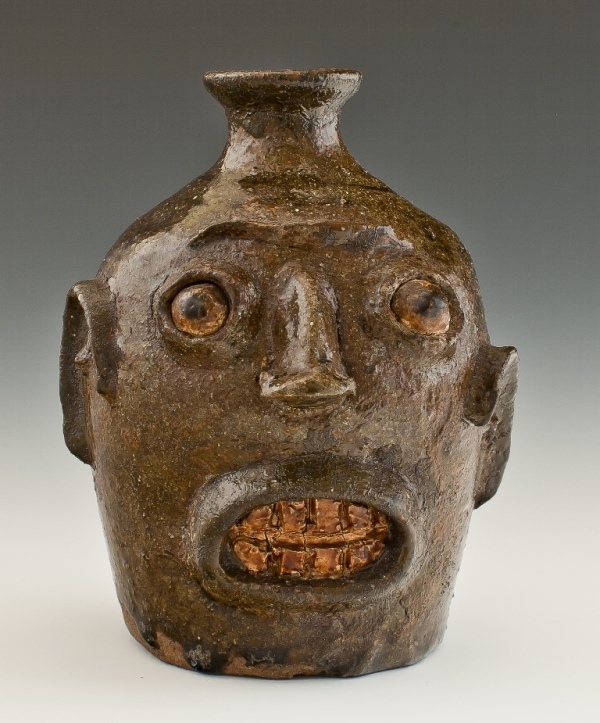 I’ve decided to bookmark it at delicious.com with your title: Chipstone Foundation Acquisition-Face Jug | Milwaukee Art Museum Blog and your Domain name: https://blog.mam.org/2012/03/09/chipstone-foundation-acquisition-face-jug/. I hope this is okay with you, I’m trying to give your good blog a bit more exposure.